Immigration: group of people moving on big city. ภาพประกอบสต็อก: Immigration: group of people moving on big city. tags ภาพประกอบสต็อก: Immigration: group of people moving on big city. Immigration concept group of people moving on big city. Thin line icons: immigrants, illegals, baggage examination, passport, international flights, customs. 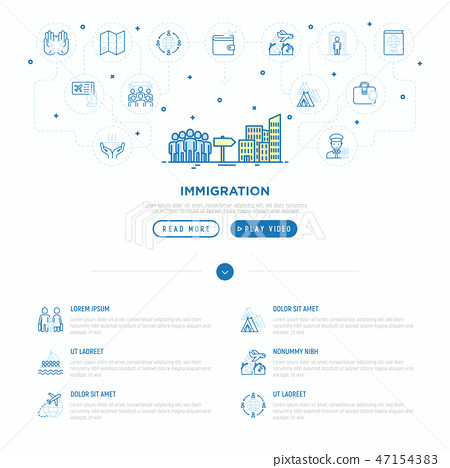 Vector illustration, web page template.